United Nations July 13 (IANS) UN Secretary-General Antonio Guterres has set up a High-Level Panel on Digital Cooperation with people at the "frontiers of technology" and public policy to deal with the "dark side" of digital innovation like cyberwarfare and proliferation of hate speech. 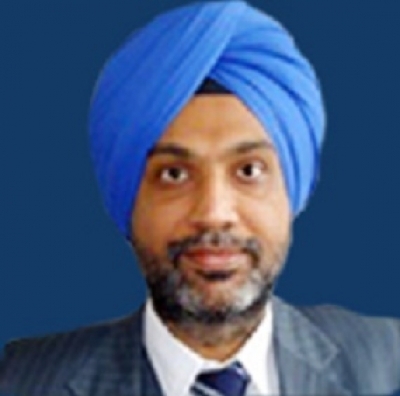 He has appointed Indian diplomat Amandeep Gill as the executive director of the panel s secretariat. The 20-member panel is co-chaired by Jack Ma the co-founder of the Chinese technology and e-commerce giant Ali Baba and Melinda Gates the wife of Microsoft co-founder Bill Gates and co-chair of the Bill and Melinda Gates Foundation. "The Panel will map trends in digital technologies identify gaps and opportunities and outline proposals for strengthening international cooperation " Guterres said on Thursday. While "new tech developments from artificial intelligence to blockchain and robotics are emerging every day " he said "the world is only beginning to address the dark side of innovation -- such as cybersecurity threats the risks of cyberwarfare the magnification of hate speech and violations of privacy." "We need to seize the potential of technology while safeguarding against risks and unintended consequences " he said. He said he expected the panel which is to hold its first meeting in September to give him a report in nine months. "It will contribute to the broader public debate on the importance of cooperative and interdisciplinary approaches to the full range of digital challenges " he added. Gill was India s permanent representative to the Disarmament Conference in Geneva. A member of the 1992 batch of the Indian Foreign Service he has a B Tech degree from Punjab University. A senior UN official who briefed the media about the scope of the panel s work said that the panel would look for ways to promote use of digital technologies across regions and maximise their "transformative potential" while safeguarding against risks. It would emphasise dialogue between sectors and between nations to develop cooperation in developing and deploying new technologies while eschewing a "beggar-thy-neighbour approach " the official said. It would also address the inequalities among countries as well as segments of societies within nations especially through adapting technological innovations the official added. The panel will not replicate the work of any existing institutions the official said.